The most comprehensive guide to the UK’s top 50,000 companies! Your most extensive and reliable guide to the UK’s top 50,000 companies. D&B’s Key British Enterprises provides you with the most reliable, comprehensive, accurate, up-to-date and impartial information on the UK’s top 50,000 companies. 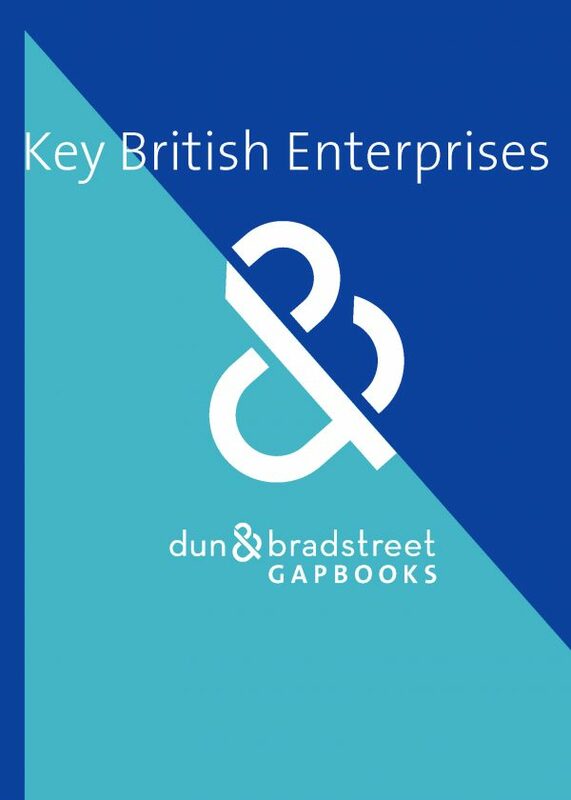 This multi-volume, leading business directory, still researched and collated by Dun & Bradstreet, but now published by directory specialists GAP Books, consists of 3 volumes of alphabetical UK company listings and a 4th volume packed with cross-referenced indexes and company rankings. Key British Enterprises 2019 provides you with an immediate insight into the financial position, size and industry sectors of those companies at the heart of the UK’s economy. Total assets in excess of £20 million. Social Services & Public Administration. Each business activity has been given equal emphasis, so that, Key British Enterprises gives an insightful overview of the main business throughout the UK economy as a whole.